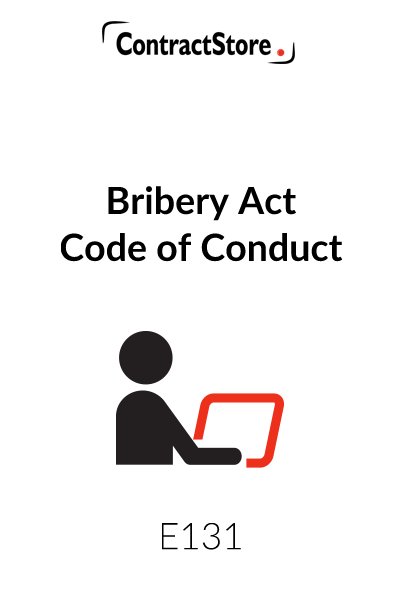 All UK businesses are required to have a code of conduct regarding Bribery in order to comply with the Bribery Act 2011. Having an anti-corruption policy is very useful to demonstrate your efforts to prevent bribery and corruption in your dealings within and outside the UK. This Code of Conduct covers all the points in detail so that your company is protected from claims for corporate offences under the Act. 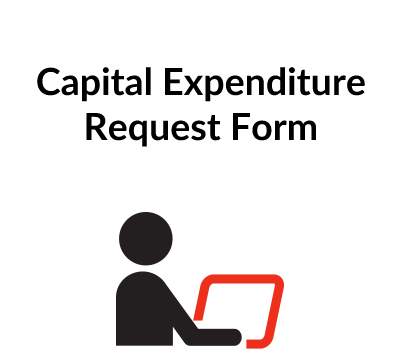 Read the explanatory notes further down this page for details of the Act and why you need to comply. A Code of Conduct setting out the procedures it has in place for dealing with the risk of bribery is now an essential document for every business in the UK. ‘Adequate procedures’ are a specific requirement of the Bribery Act. It is quite a short statute – but one with a long reach as it is broad-ranging in its language and it specifically covers corruption abroad as well as at home. Companies as well as individuals can be prosecuted and the only defence to the new offence of failing to prevent bribery is to show you have ‘adequate procedures’ in place to prevent this sort of thing – i.e. a Code of Conduct is necessary and must be implemented and specifically tailored to the organisation’s bribery exposure. 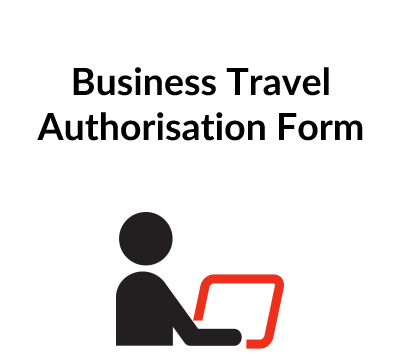 This means that every business should have a Code of Conduct in place which is compliant with the Act and the Guidance issued by the UK Government. Prepared for ContractStore by solicitor Giles Dixon in conjunction with the International Governance & Risk Institute (GovRisk), this Code of Conduct is a template which should be adapted and tailored to meet your particular circumstances. These will depend on the size and nature of your business and the areas of the world in which you do business, as well as the extent of your relationships with others – joint venture partners, agents, Government clients etc. 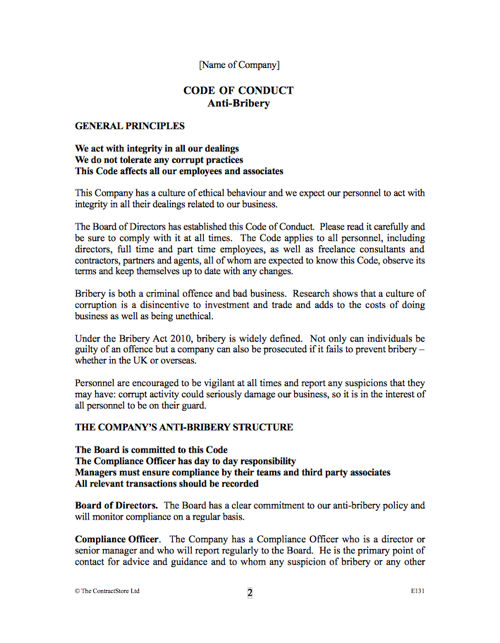 The Appendix also includes useful information to implement your Code of Conduct by conducting a bribery risk assessment, implementing effective and proportionate policies, organising initial company-wide training, ensuring top-down commitment, training critical personnel and ensuring an ongoing anti-bribery framework.